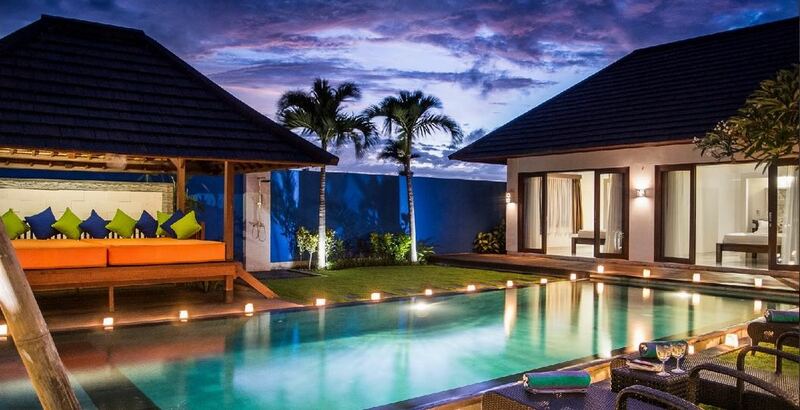 From $ 486 $ 389AUD per night We have direct contracts with most villa owners. We don't add any booking fees. We are 100% transparent with no nasty surprises. 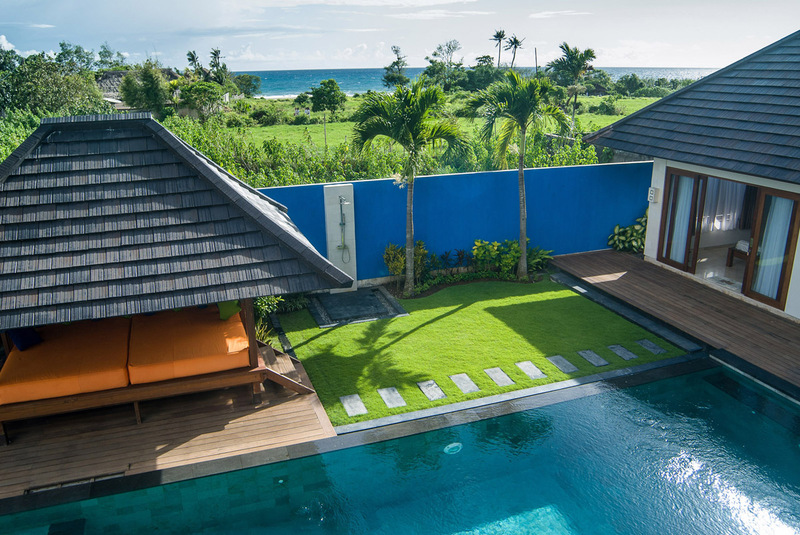 Villa Kirgeo is a 4 bedroom luxury holiday villa in Canggu. 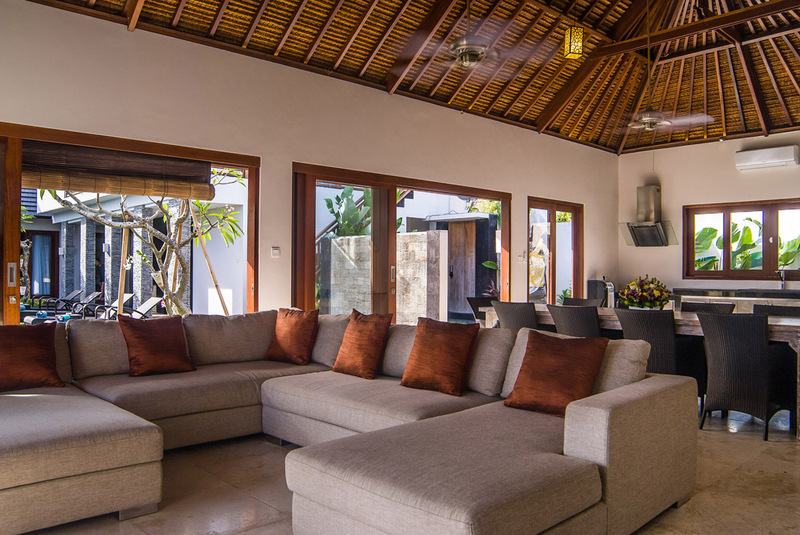 If you’re looking for a Canggu villa close to the beach , suitable for a large family with plenty of activities for the kids nearby, or group of friends wanting an amazing villa then Villa Kirgeo is the perfect choice. 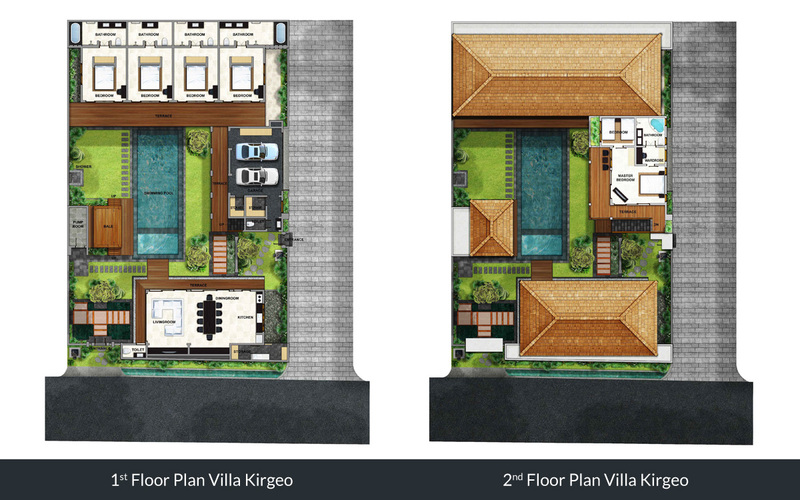 Located just 200 meters from Berawa Beach and just a short drive to Seminyak, Villa Kirgeo features contemporary design, fantastic pool and all the modern amenities that you need for a luxurious holiday experience in Bali. 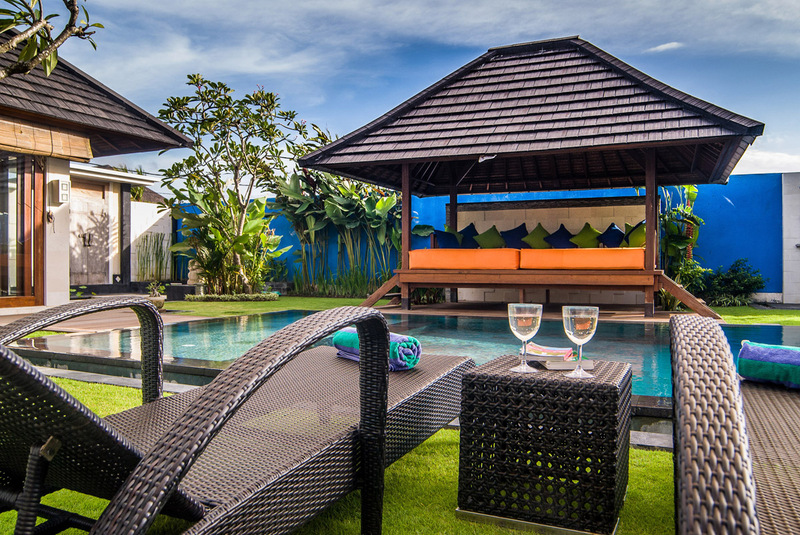 Manicured lawns line each side of the swimming pool, sun lounges by the pool provide a place to enjoy the warm sun and a bale with comfortable cushions, a place to read a book, or enjoy a massage to relieve the stresses, while the kids play in shallow end. 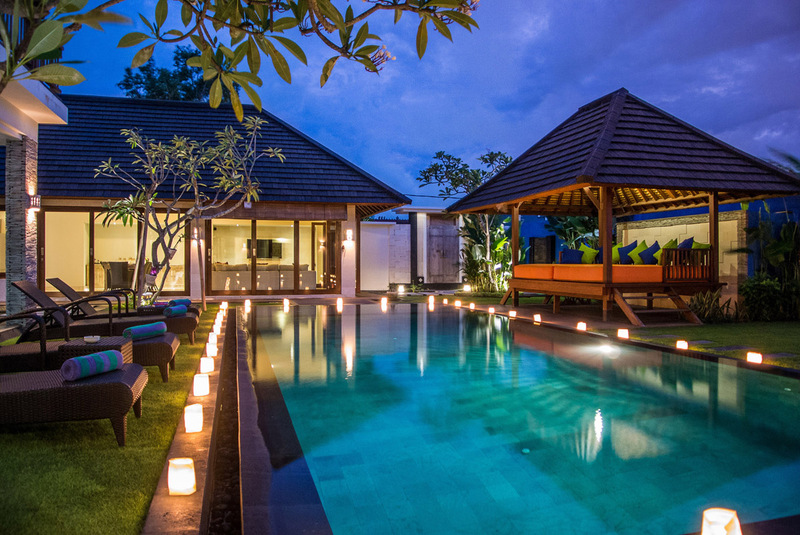 A high perimeter wall provides privacy while hand carved statues and a fish pond with the sounds of its trickling water feature add an element of Zen. 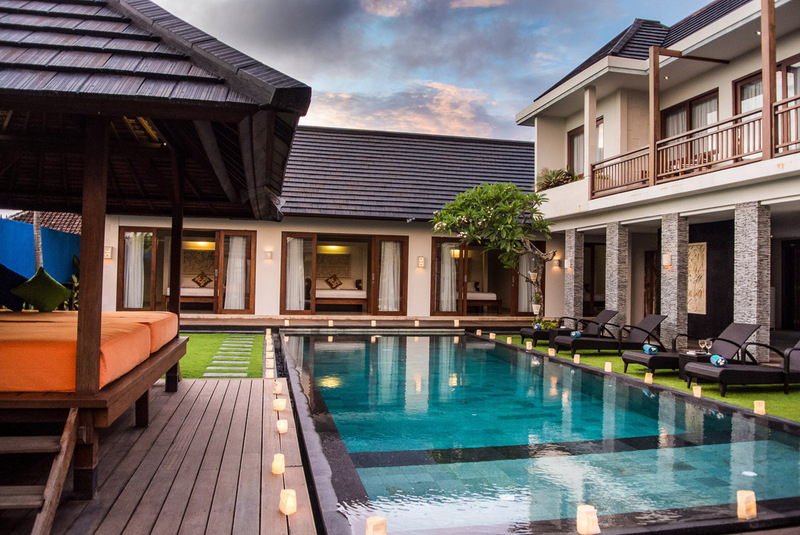 This is the perfect villa to unwind and relax. The spacious living area is versatile, offering guests the option of air-conditioned comfort or an alfresco living experience by simply opening the large sliding doors to the pool and garden. 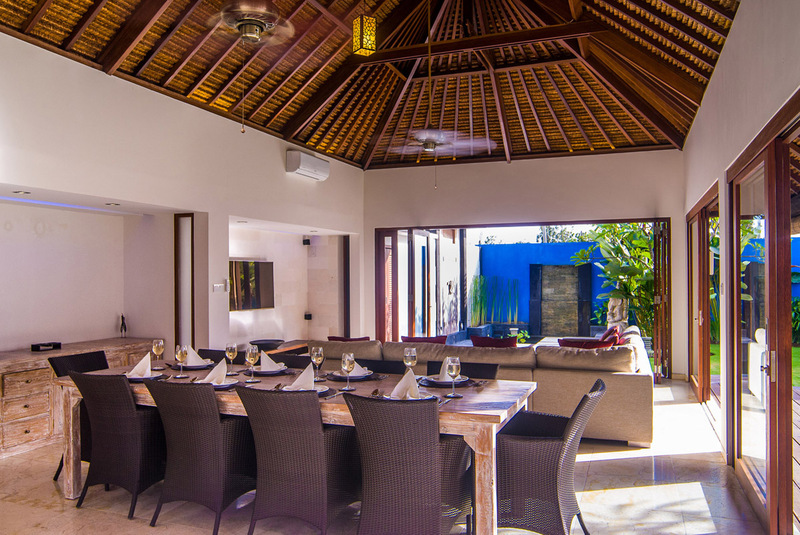 The open plan space features a large lounge area where you can watch TV with the whole family, a rustic dining table, for sumptuous meals (Western & Indonesian) prepared by your chef and a kitchen with plenty of appliances to cater for all your catering needs. 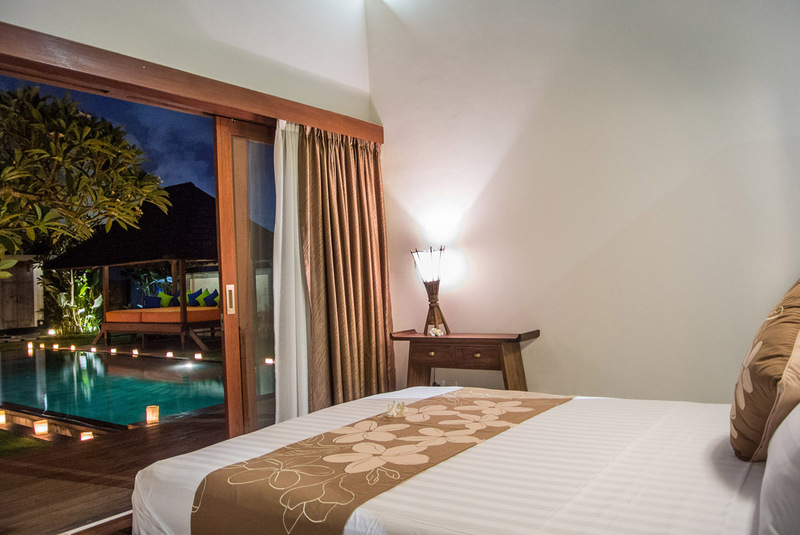 All bedrooms provide air-conditioned comfort and premium queen size bedding. 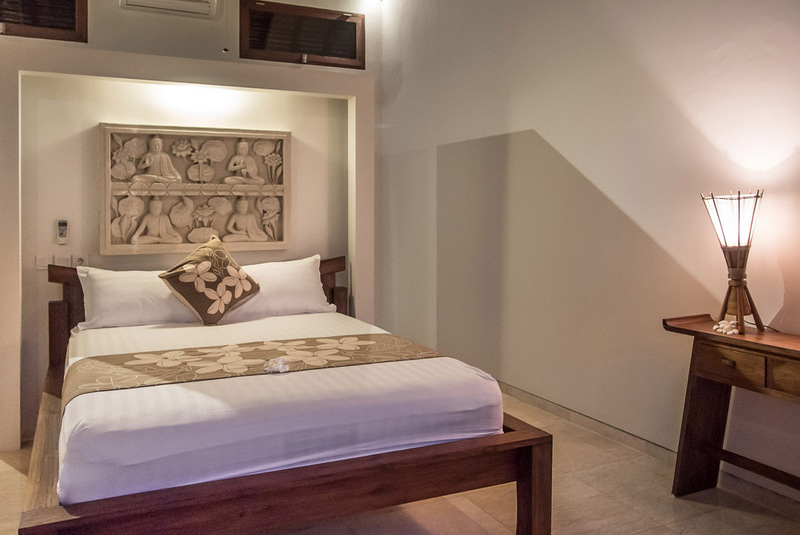 Featuring timber furnishings, attractive wall arts and marble floors, the bedrooms provide a comfortable resting place. 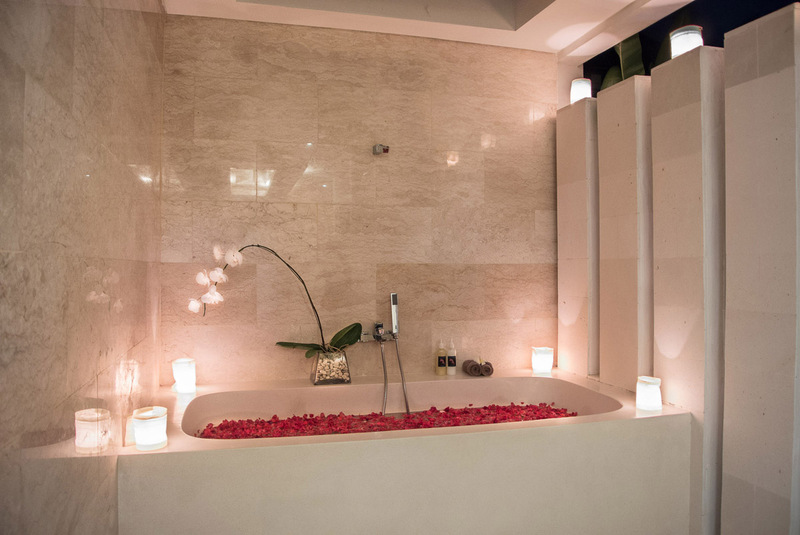 Two of the rooms feature large built in soaking tubs while the other two room’s luxuriant rain showers and bathroom amenities are provided as well. 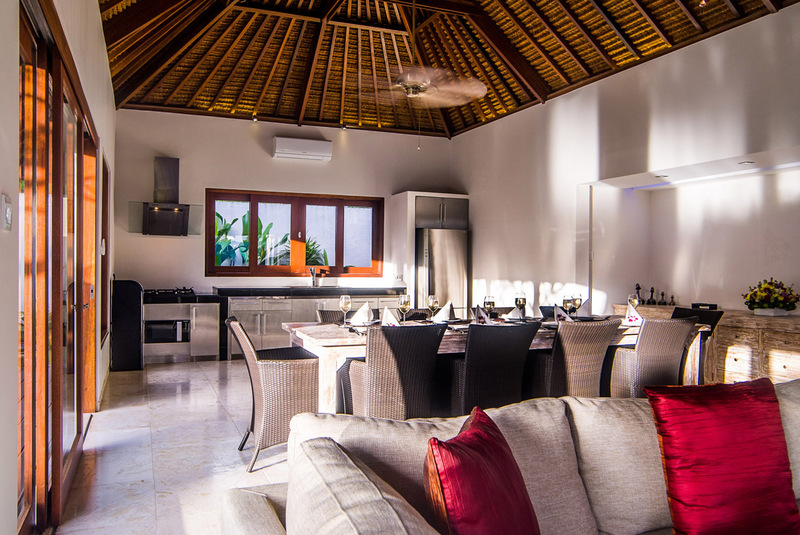 Guests will be overwhelmed by the warmth of the villa staff that will go out of their way to ensure your total satisfaction during your stay. 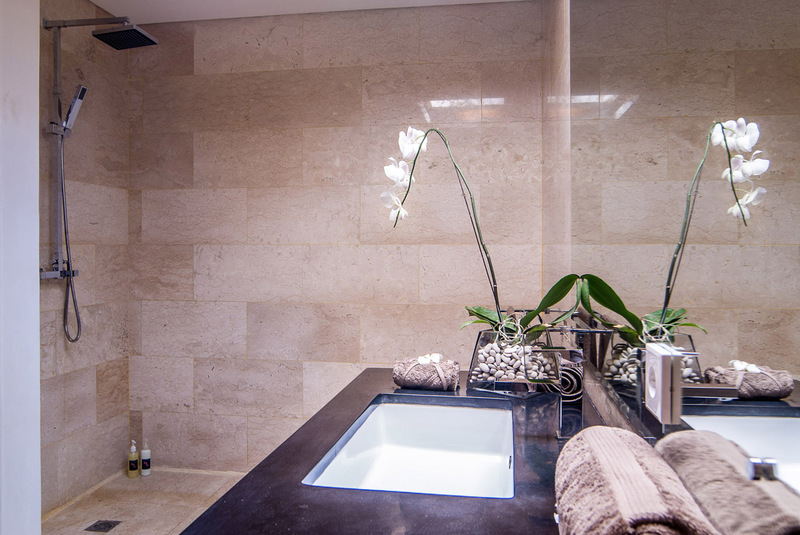 The villa manager will oversee the team of housekeepers, butlers, chefs and gardeners, to make sure your privacy is maintained at all times. Transportation, day tour and restaurant bookings will be willingly arranged by the staff. 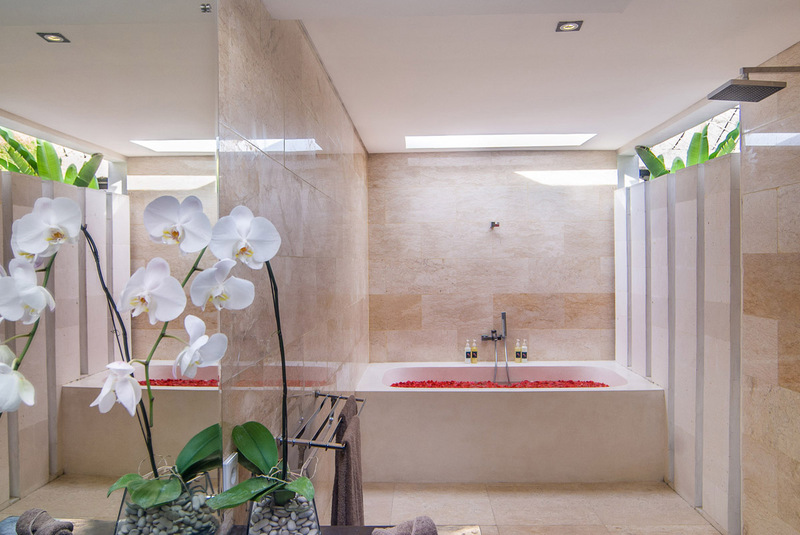 Your rooms and living areas will be cleaned daily. Just a 200 metre stroll and you are at the popular Berawa Beach, a popular surf spot and a hive of activity for resident ex-pats. The kids will love the water fun park, ten pin bowling and trampoline fun at nearby Finns Recreation Club.There is also a gym, tennis courts and an Olympic size pool for the adults. Seminyak and all of its popular restaurants, cafes and boutiques is no more than ten minutes by car and Echo Beach is also conveniently located nearby as well. 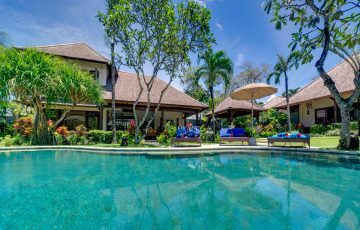 To view other 4 bedroom Bali villas or our full range of Canggu villas please browse this website or contact our reservation team. 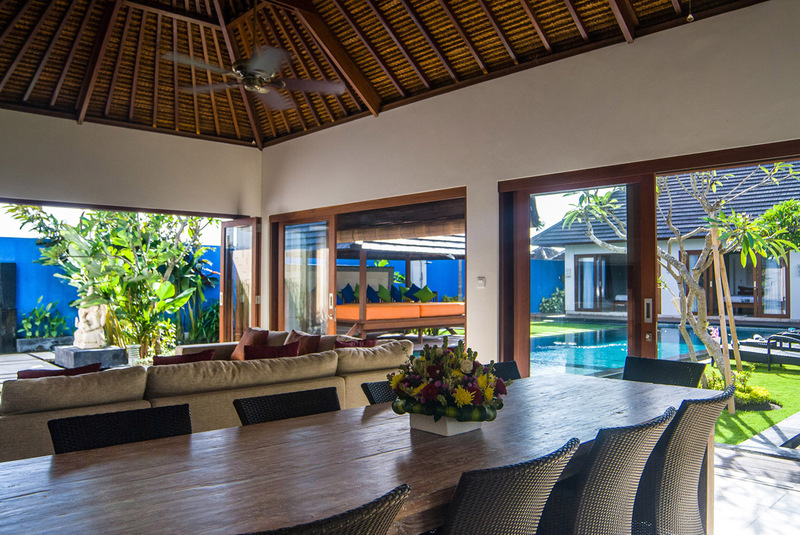 This is a popular Canggu villa holiday rental so if your planning a holiday to Bali especially during the Australian school or public holidays please book Villa Kirgeo well in advance. We went with 2 families and the place is paradise; everything we could imagine and more. The children loved the pool and were in it the whole day & we loved the open plan layout of the place. Lots of room, very clean and well maintained. 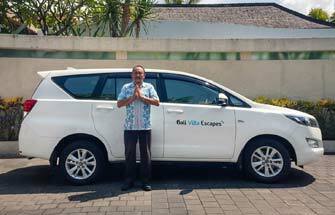 We were totally spoiled and pampered for the entire time by the super friendly and polite villa staff; Wayan and Made - they were always attentive and prepared the most delicious meals. The location was also a real bonus and getting the the beach was a simple 5 minute stroll. Overall this villa gets a 10 out of 10 and we absolutely loved the place. 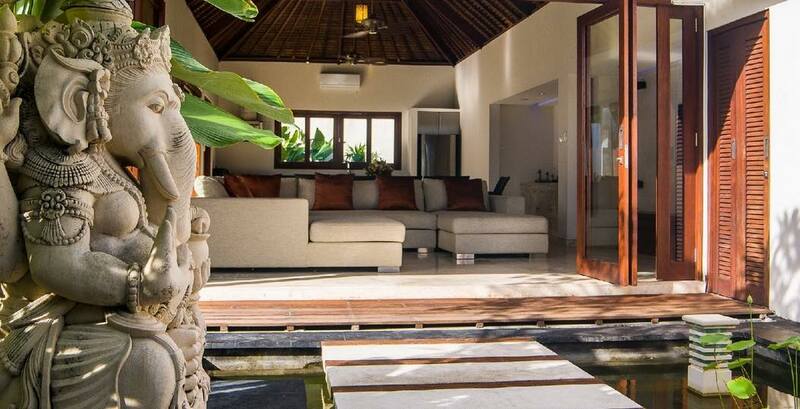 We would have no hesitation in recommending it for families or groups wanting a fantastic holiday experience in one of the best locations in Canggu. My family and my sister’s family stayed at Villa Kirgeo and it was such a fantastic experience for everyone. There was never a shortage of things to do. The children could play in the pool, watch TV and there were even some toys for the younger kids. 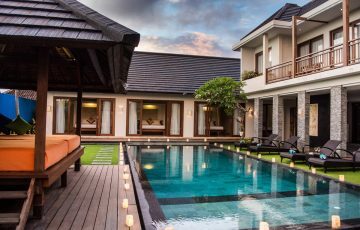 The staff was amazing and they helped us arrange tours and sightseeing to nearby Seminyak as well as a day trip to Ubud At the end of our stay, everyone was sad to be leaving but I am certain that we shall be back. 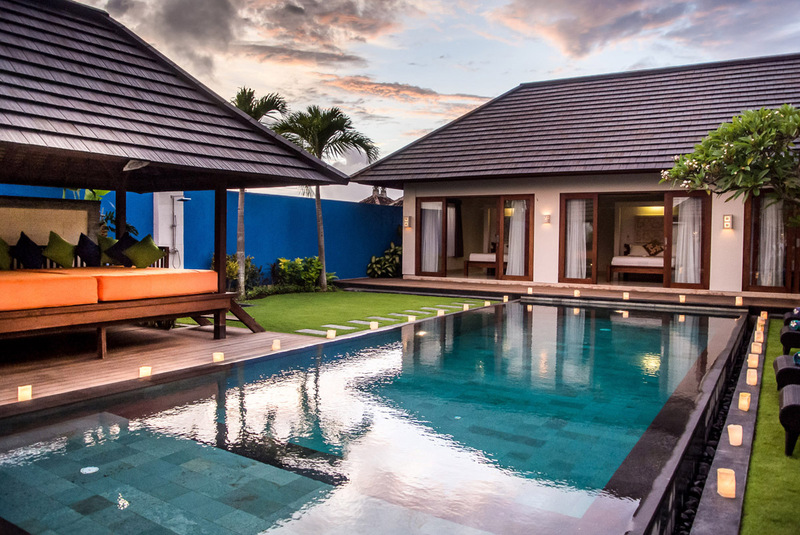 This villa is unbelievable value and we loved every minute of our stay here. Villa Kirgeo is such a great villa to spend some time with a group of people. I was here on a retreat and it was such a welcome relief from the hassles and stress of everyday life. We knew we had chosen the right villa as soon as we arrived. 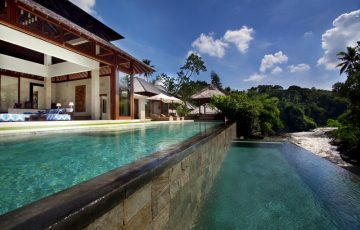 The facilities were superb and the villa itself was really clean and absolutely spotless. 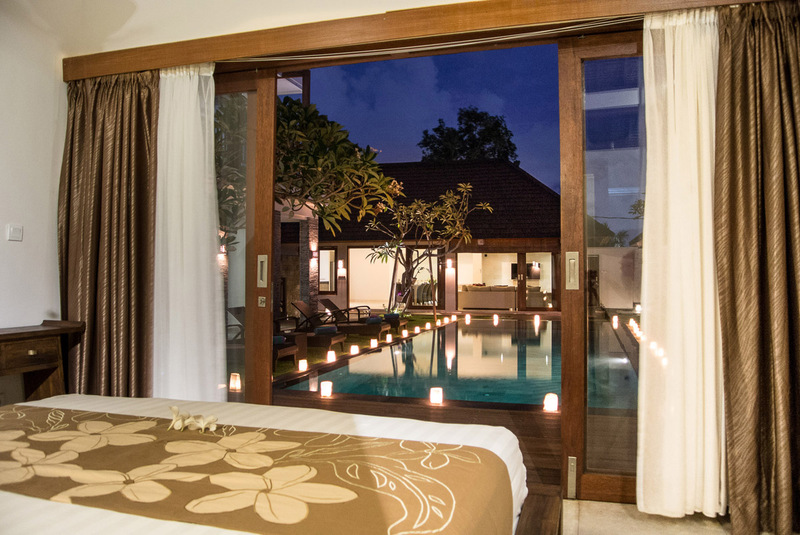 The Balinese staff was attentive and the ample space ensured that we still had privacy throughout our stay. I enjoyed every minute I spent here. What an absolutely amazing villa - location is perfect and really close to the beach which was great for our family. Loved also being near Seminyak and Canggu which was easily accessible by taxi. Lot's of relaxation and fun times had here and we will be back. Perfect villa with so much to offer our family. Great location and such good value. Loved the whole package and ambiance. Love the villa and it's convenient location - we were so happy to be near the beach and the Finns Club which was perfect for the kids. Staff at the villa were also really friendly and welcoming. Basically, a clean and comfortable place with loads of room. 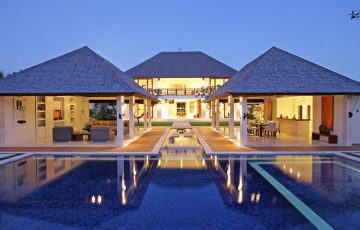 I really don't think your going to find better value than this sensational villa. Location was amazing and close to so many great things to see. The beach was nearby which was an added plus. As far as the villa was concerned we were really impressed for the day we arrived. Spend some time here and you will see what I mean. I has a very relaxed vibe which is exactly what we were looking for. 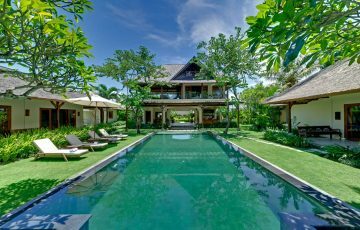 Staying in Berawa was also really nice as we were halfway between Seminyak and Canggu so we got the best of both areas. Could not have picked a better villa. Near the beach and so many places to go our for a bite to eat. Seminyak was also nearby which was handy as we wanted to do some shopping and browse Eat Street. 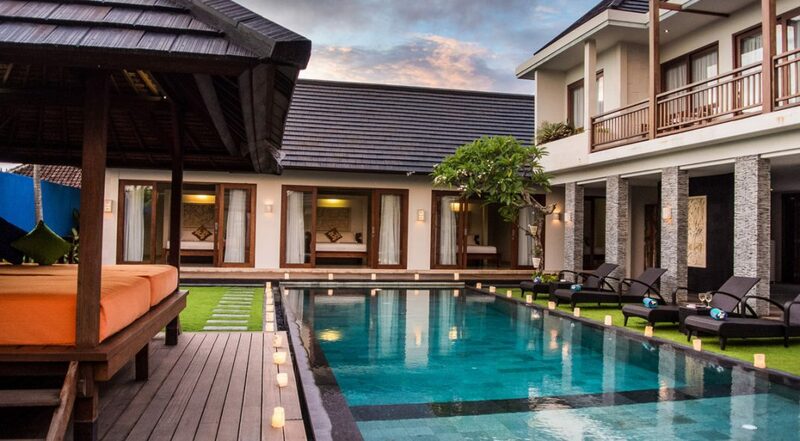 Clean and very comfortable villa. A great place to spend 10 days with the family. What an amazing place. This was our second time here and there will be a third!